Toshiba Memory Corporation, the world leader in memory solutions, today announced that it has begun sampling new Automotive JEDEC UFS Version 2.1 embedded memory solutions utilizing 3D flash memory. 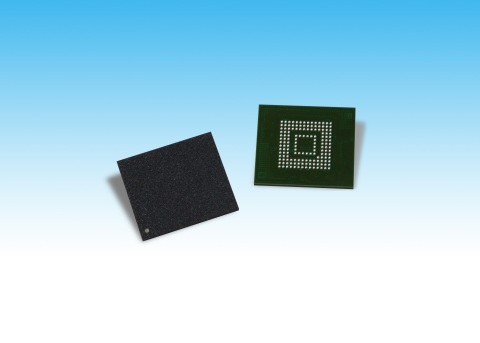 The new products are embedded flash memory devices that integrate the company’s BiCS FLASH™ 3D flash memory and a controller in a single package. The sequential read and write performance are improved by approximately 6 percent and 33 percent, respectively, over existing devices. The company’s Automotive UFS supports a wide temperature range (-40°C to +105°C), meets AEC-Q100 Grade2 requirements and offers the enhanced reliability required by various automotive applications. The lineup consists of four capacities: 32GB, 64GB, 128GB, and 256GB. The new UFS devices feature several functions well-suited to the requirements of automotive applications, including Refresh, Thermal Control and Extended Diagnosis. The Refresh function can be used to refresh data stored in UFS, and helps to extend the data’s lifespan. The Thermal Control function protects the device from overheating in the high-temperature circumstances that can occur in automotive applications. Lastly, the Extended Diagnosis function helps users easily understand the device’s status. Technology advances in automotive information & entertainment systems and ADAS related products for the realization of connected cars and autonomous vehicles will continue to push the storage demands in automotive applications ever higher. As these demands continue to grow, Toshiba Memory Corporation will retain a leadership position in the market by reinforcing its lineup of high-performance, high-capacity memory solutions targeting the sector. Specification of the samples may differ from that of commercial products. Universal Flash Storage (UFS) is a product category for a class of embedded memory products built to the JEDEC UFS standard specification. Comparison between Toshiba Memory Corporation’s new 256GB product ”THGAFBT1T83BAB5” and the existing 128GB product “THGAF9T0L8LBAB8”. Toshiba Memory survey. Electrical component qualification requirements defined by the AEC (Automotive Electronics Council).